2012 BMW S 1000 RR Pricing Announced. BMW Motorrad will introduce the new 2012 BMW S 1000 RR at $22,290\*, no increase on the previous model. Included as standard are Race ABS, Dynamic Traction Control and Quick Shift. BMW Motorrad in conjunction with Icon Flim Distribution is happy to announce that the winner of the TT3D Closer To The Edge BMW S 1000 RR promotion is Mark Scheider of Perth. BMW Motorrad is now giving S 1000 RR customers even more bang for their buck, announcing today that the ever-popular Sport Package will now be fitted as standard. BMW Motorrad now offers a complete range of High Performance Parts for the award-winning S 1000 RR. BMW S 1000 RR supersports motorcycle has arrived on Australian and New Zealand shores. 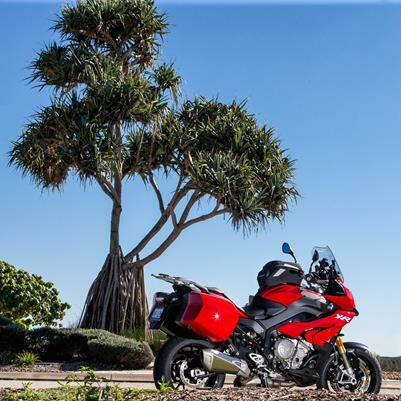 BMW Motorrad Australia announces S 1000 RR pricing. BMW Motorrad Australia is pleased to announce that the highly-anticipated BMW S 1000 RR Supersports motorcycle is scheduled to arrive in Australian showrooms in early 2010 with pricing from $21,900\*. (No, this is not a typo). For the first time ever BMW Motorrad is launching an all-new 1000cc sports bike with an in-line four power unit. Introducing the new BMW S 1000 RR on the legendary Monza Racing Circuit, BMW Motorrad is for the first time launching an absolutely innovative supersports with a straight-four power unit. BMW S 1000 RR - Drivetrain. High-output four-cylinder inline power unit for maximum performance. BMW S 1000 RR - Suspension and Running Gear. Innovative suspension technology for supersports performance of the highest standard. BMW S 1000 RR - Electric and Electronics. BMW S 1000 RR - Body and Design. Supreme performance and dynamics from every angle. BMW S 1000 RR - Range of Equipment. Options and special equipment for a wide range of customisation. The usual wide range of options, special equipment and other features offered by BMW Motorrad serves also to customise the new S 1000 RR Supersports. The colour concept emphasises the unique, dynamic character of the new BMW S 1000 RR. BMW Motorrad Motorsport - Supermodel on Superbike. You wouldn't believe the extraordinary lengths that BMW Motorrad would go to in order to bring you these stunning images of the new S 1000 RR superbike, but we hope you'll agree that the results are well worth the effort.